The Real Food Challenge is a national student movement advocating for a sustainable food system. The objective is to increase the level of food at university eateries that are categorized as Real Food. Schools who sign onto the Real Food Commitment pledge to shift 20% of all food spending to Real Food sources by 2020. Click here for more information on the Real Food Challenge. What is the Real Food Calculator? The Real Food Calculator is an assessment tool used by student participants to identify campus food purchases based on the four Real Food standards. Click here for more information on the Real Food Calculator. The Real Food Challenge Calculator student team are responsible for reviewing ingredients, contacting vendors, studying food labels, and determining which foods can be considered “Real Food”. better system that promotes good health, food, and nutrition in our schools. working on the Real Food Calculator. CSUN, and the small (local) economy." healthy eating, but also a lot about the literal poisons we consume. part of this project as it will truly affect how people are nourished at CSUN." need of changing our food system." - "My experience working for the calculator team has been tremendous. always be making improvements on our campus for our students and faculty. consistently being made to help improve our food system here at CSUN." - "What got me interested in being part of the team was the opportunity to work in a network that operates with real food and how other Cal State Universities and colleges are also taking part in the Real Food Challenge. I hope to learn to work diligently and efficiently with others and to communicate better." - "My professional goal is to change the food environment so that everyone has easy access to fresh nutritious foods. 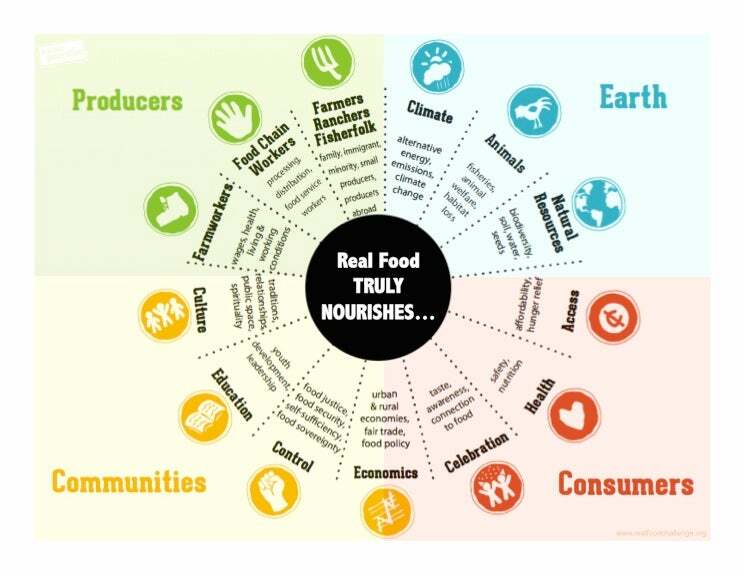 Because the Real Food Challenge is designed to make sure that food nourished our bodies, our communities, food producers and Planet Earth, I think it is a comprehensive model for public and private sectors. I want to learn everything I can about the criteria, the process and how RFC affects all parts of the food system." - "Once I learned that it was a Challenge I was instantly hooked, I had to be a part of this program. I am very competitive so I had to help CSUN be one of the top schools participating in the RFC. I hope I learn which companies provide food that are real and which are not real. I would also like to learn which types of companies provide food here at CSUN. I would also like to learn how to be in the RFC so that way when I go on to live later in life I know how to check with a company to make sure that it serving real food." - "Just the fact that it has to do with food got me interested. I'm excited by the opportunity to help make a change in the type of food we are consuming at school and to expand people's knowledge about food; eating healthy is important. I'm eager to add to my own knowledge of food, learn more about how larger kitchens functions, and understand more about food labeling." - "What interested me in being a part of the RFC Calculator Team was the privilege to work with a team where we can improve the CSUN community in a better and healthier way. I would want to see how much the Real Food Challenge can impact the way CSUN dining are serving food right now and in the future. I want to learn from this experience if we have somehow impacted the way the CSUN community will look towards what is real food or not." - "What interested me most about joining the RFC Calculator team was the opportunity to do something meaningful for my campus and the students that come here. I hope to learn more about how vital food truly is for our bodies. Also, I would like to educate myself on how important it is to nourish ourselves with delicious yet humane food, giving our bodies the best product available."